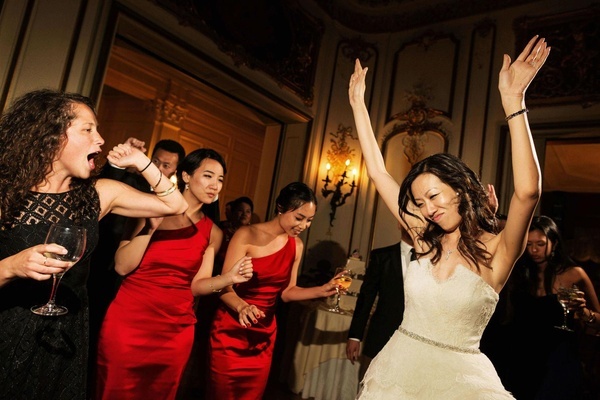 Serina Yu had always been so independent that when the time came for Daniel Ward to ask her father for her hand, he chose to forgo convention, believing that such formality wouldn’t accurately reflect Serina’s free spirit. 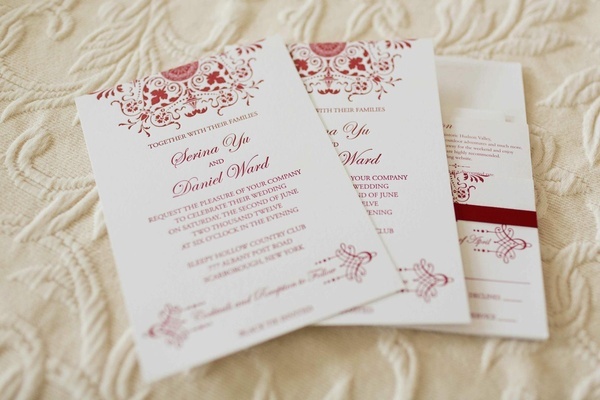 That ritual aside, tradition would prove significant to both of their families, and planning a wedding that blended their backgrounds would bring Serina and Daniel closer than ever. 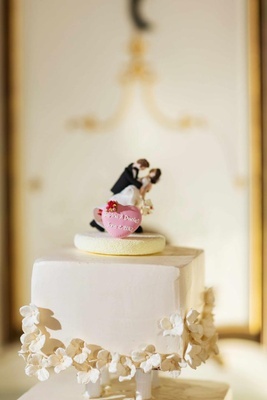 "We wanted our wedding to be a celebration of love and two families and cultures coming together," says the bride. 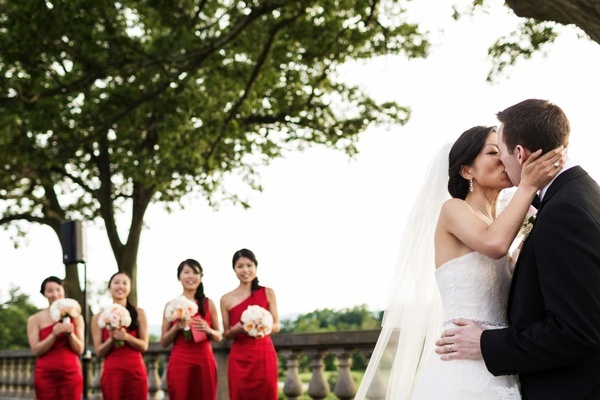 The wedding took place at a luxurious country club along the Hudson River in Tarrytown, New York. 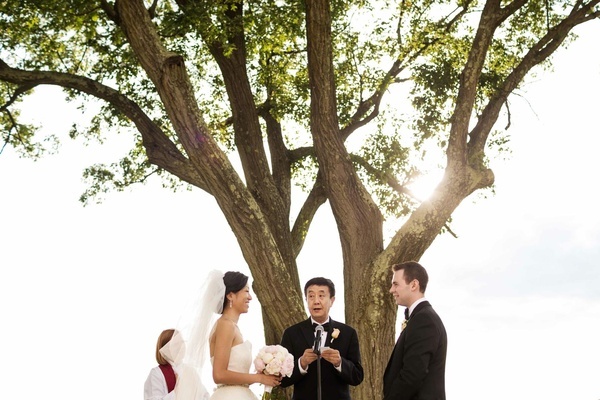 Serina and Daniel had been drawn to the location by a magnificent oak tree on the property that featured “two strong, leafy branches that reached into the northern and southern skies,” and was situated on a back lawn that was perfect for the ceremony. 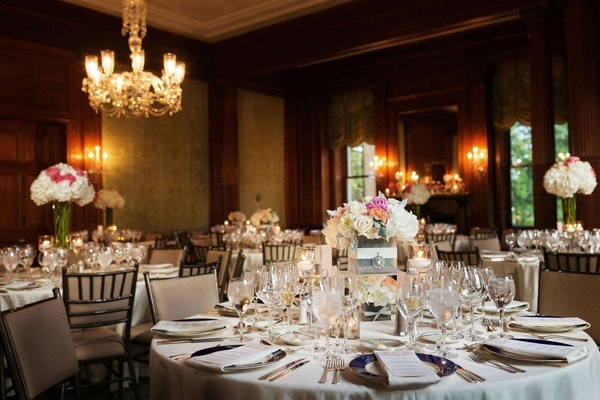 The décor was kept simple and elegant so as not to distract from the magnificence nature provided. 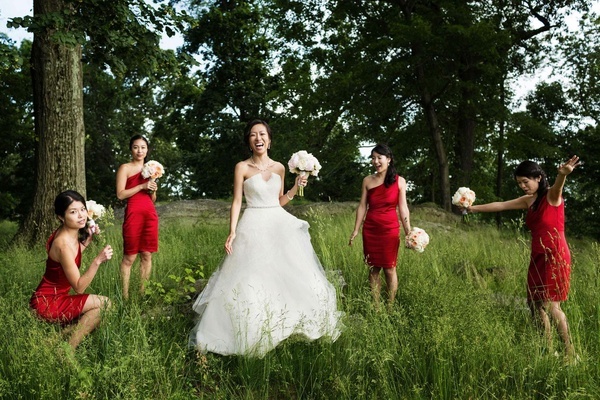 The spirited bride did observe the traditional Chinese custom of incorporating the color red, as the shade is the symbol for double happiness in China and also represents love and prosperity. 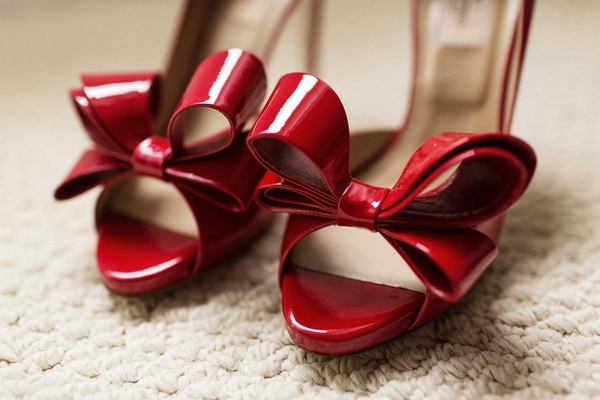 The bride's shoes, dresses worn by the bridesmaids, and stationery items were all drenched in brilliant crimson. 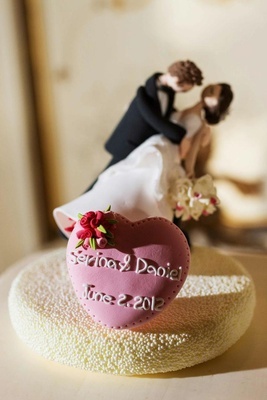 As for the ceremony, "I think [it] nicely incorporated details of my culture and Serina's culture by having unique aspects of both Asian and Christian traditions," confides Daniel. A Chinese tea ceremony, an ancient custom intended to demonstrate respect and honor for family, was performed in addition to the lighting of a unity candle, a Christian ritual symbolizing the union of two hearts and lives. 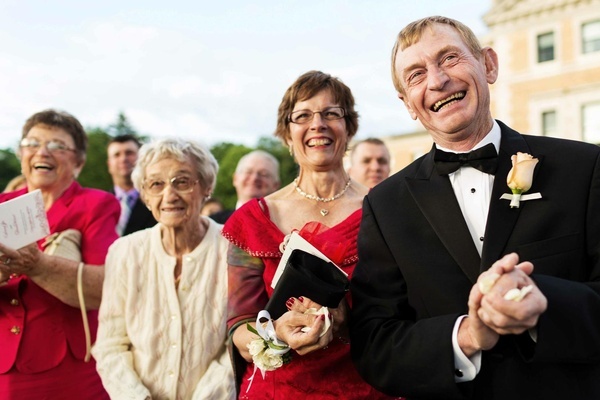 The fathers of the bride and groom read passages from both the Bible and Buddhist hymns. 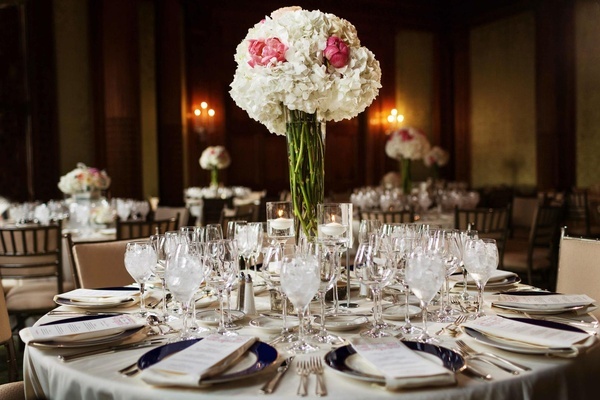 A table bedecked with floral arrangements of peonies, hydrangeas, and roses marked the entrance to the reception. 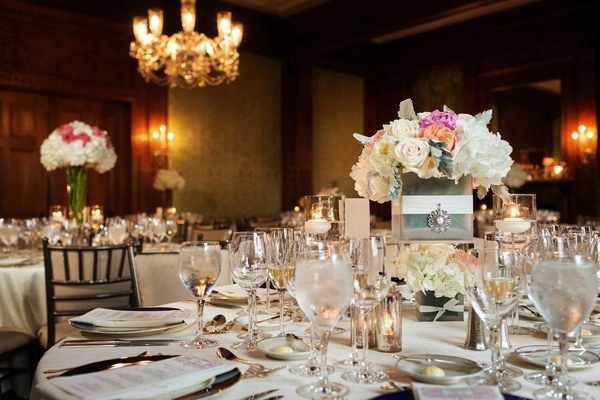 The dreamy sophistication of the country club ballroom was enhanced by gentle hues of ivory, blush, and champagne infused with touches of red. 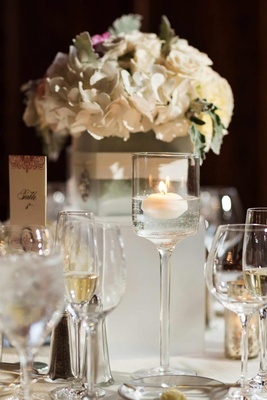 The tables displayed large, abundant centerpieces of fluffy hydrangeas accented with peonies, while devised duets of medium and small frosted vases filled with an array of flowers surrounded the wedding guests as they dined and enjoyed the live band. 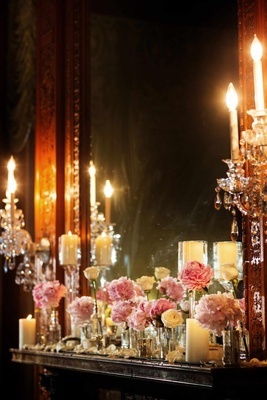 Glowing candles cast flickering light across the enchanting scene. 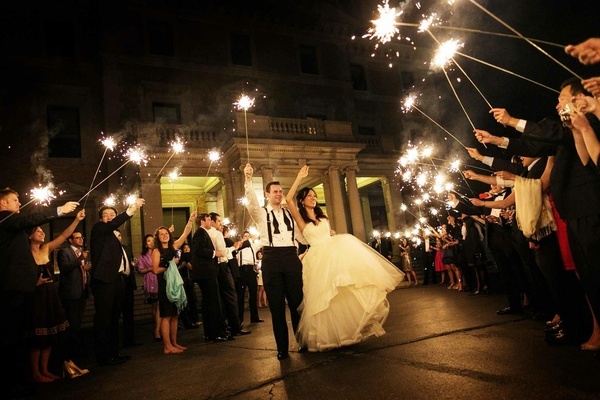 The newly wedded couple surprised their guests with a foxtrot to their special song, "Everything" by Michael Bublé, for the first dance. An especially endearing moment happened for Serina while sharing a dance with her father: "My dad and I slow danced to 'Make You Feel My Love' by Adele… I felt like I was four years old dancing in our kitchen all over again. It was an emotional moment for me," she confides. The band was a key element to the vibe of the evening, with members interacting with guests during their performance. 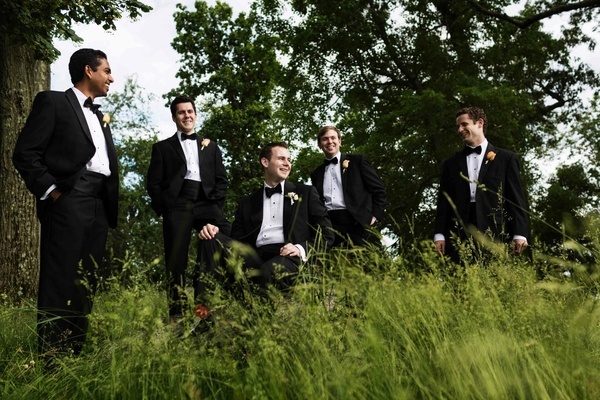 The 12-piece ensemble played modern hits and oldies that were thoroughly enjoyed by all. "We were pleasantly surprised by pictures of our families dancing together like they had known each other their whole lives!" exclaims Serina. 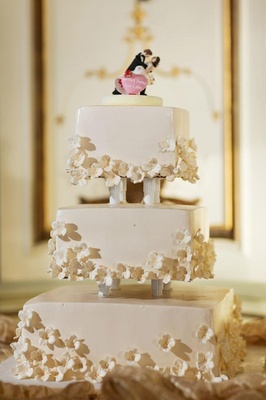 The cake was a multi-tiered ivory delight draped in flowers. 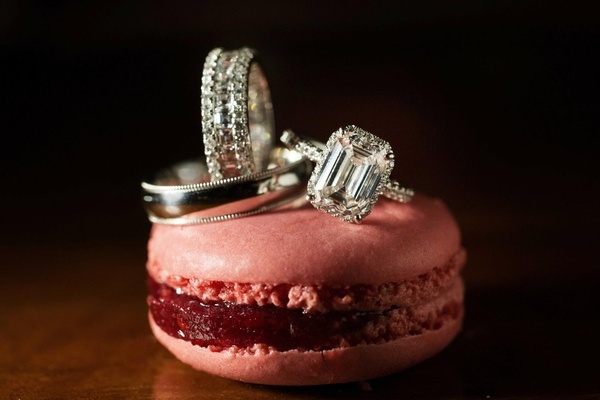 Salted caramel and raspberry macaroons from Ladurée, flown in from Paris and carefully selected by Daniel months prior, were also presented to guests. 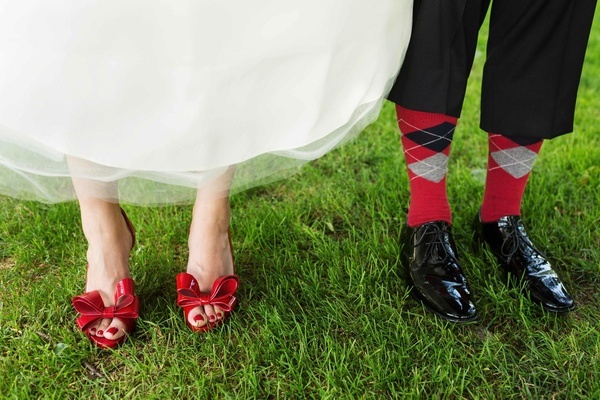 The bride and groom wouldn’t change a thing about their day of devotion. They were able to honor their families and their diverse history while celebrating what was distinctive about each other. 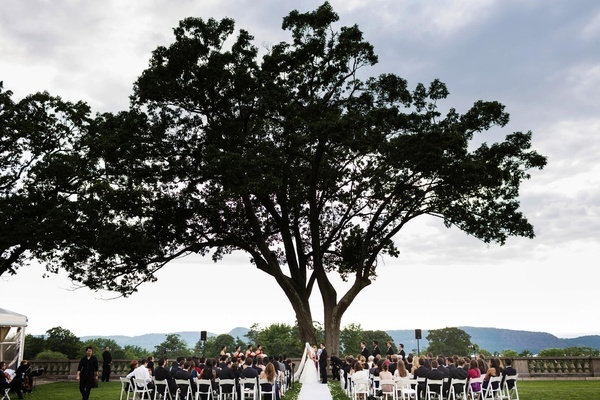 The wedding united their cultures, their families, and their love, entwining them together much like the branches of the majestic tree on the Hudson beside which the pair had exchanged their vows.